From the Creators of The Matrix Trilogy Comes a World Built for Speed. Young driver Speed Racer aspires to be champion of the racing world with the help of his family and his high-tech Mach 5 automobile. $18.561 million on 3606 screens. Maybe someday Larry and Andy Wachowski will be credited other than as “the directors of the Matrix trilogy”, but it hasn’t happened yet. 2008’s Speed Racer was their first flick since 2003’s disappointing Matrix Revolutions, and their first non-Matrix effort since 1996’s Bound. Though positioned as one of the year’s big summer blockbusters, Racer tanked. It took in a poor $43 million and became destined to be regarded as the year’s biggest disappointment. Even as a child, Speed Racer (Nicholas Elia) only cared about racing cars. His father Pops (John Goodman) designed vehicles, and he looked up to his older brother Rex (Scott Porter), a hotshot driver. Alas, that story ends in tragedy, as Rex sells out to some underworld rivals and then apparently dies in a crash. Though rocked by these events, an older Speed (Emile Hirsch) follows in Rex’s footsteps and becomes the driver of the zippy Mach 5. 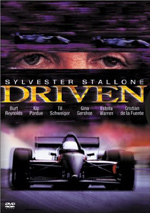 Supported by Pops, Mom (Susan Sarandon), girlfriend Trixie (Christina Ricci) and younger brother Spritle (Paulie Litt), Speed turns into the racing world’s newest sensation. Speed resists many entreaties from sponsors, even when tycoon EP Arnold Royalton (Roger Allam) makes him a terrific offer. This earns Speed the enmity of Royalton and his cronies, and our hero learns about the corruption rampant in the World Racing League. 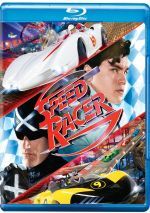 With the assistance of the mysterious Racer X (Matthew Fox) and others, Speed attempts to fight back at the baddies and become the world’s greatest driver. When I was young, I loved me some Speed Racer. We adults bemoan the five-cent animation, the idiotic stories and the one-dimensional characters, but kids don’t care. 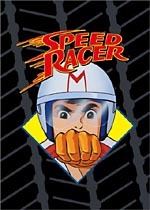 I thought Racer was great stuff as a youngster, and I think modern kids still dig this stuff; a friend’s three-year-old watches the show on a near-continuous basis. It’s been so long since I was a fan of the series that I really can’t remember a lot about it. This means I find it difficult to know which of the movie’s stylistic choices emanated from the show and which ones developed from the Wachowskis. If the film’s cheesier elements were directly lifted from the series, I feel a little more hesitant to criticize them. But just a little, because I don’t think the choice to stay true to source material should excuse tacky filmmaking. That’s true in all instances, but especially so when the original work was as lame as the Racer TV series. Like I mentioned, I obviously don’t begrudge little kids their enjoyment of the show, but face it - Racer really was pretty terrible. For a movie based on the series to be good, it needs to take advantage of the interesting parts of the series but eliminate the problematic elements. Since I can’t remember the TV show very well, I can’t make many comparisons between the two. I can say that the movie feels cheesy and silly much of the time. I can’t say how many of these excesses come straight from the series, but they remain problems nonetheless, as the movie tends to be awfully goofy, and not in a good way. In truth, it seems like the Wachowskis can’t decide what audience they seek. Racer includes plenty of comedic, over the top bits clearly aimed at youngsters; who else would be entertained by the antics of Spritle and his chimp pal Chim-Chim? However, the movie comes with some adult language, a murky plot, and an excessive running time of 135 minutes, all of which distance it from the super-youthful crowd to whom it should appeal. It’s unclear if the Wachowskis tried to serve two audiences and satisfied neither or if they just made a mess of a movie. Whatever the case may be, Racer lacks the thematic coherence to work for either the kids or the adults, an issue exacerbated by editing choices. Often the film undercuts drama with cutaways to wackiness. For instance, one scene in which Speed confronts Royalton gets intercut with shots of Spritle and Chim-Chim as they raid a massive candy stash. The latter elements completely rob the sequence of its impact. Even during driving sequences, the Wachowskis can’t leave well enough alone. Rather than focus solely on the action, they cut away to character introductions and other dalliances that distract us from the potential excitement. These decisions turn scenes that should dazzle into muddled, ineffective sequences. Many films have been described as video games brought to the big screen, but Racer truly comes closer to that than anything else I’ve ever seen. The movie features a bright, wild palette that leaps off the screen, and the action bears no connection to reality. I don’t mind the trippy colors, but the complete absence of the laws of physics becomes a bigger problem. Sure, we’re supposed to see Racer as a cartoon fantasy, but the decision to treat the racing sequences like bits out of a video game saps them of excitement. It’s ironic that these over the top sequences actually become less effective due to their wildness, but it’s true. Because the cars never behave like real vehicles, it’s impossible to invest in the action. It’s all so silly and absurd that we don’t care what happens, and the fun level drops to near zero. In truth, Speed Racer isn’t a terrible movie, as it musters some minor entertainment value. Unfortunately, it runs too long and it cares too much about visual impact and too little about story telling. At no point do we ever really care what happens, and the cartoon action scenes are so goofy that they lack power. The movie stuns in terms of visuals but falls flat in every other way. Speed Racer appears in an aspect ratio of approximately 2.35:1 on this Blu-ray Disc. While I won’t call this the best-looking Blu-ray I’ve ever seen, it’s on the short list. At all times, sharpness satisfied. Even in the movie’s wide shots, the image remained crisp and well-defined. I noticed no signs of jagged edges or shimmering, and I found no signs of edge enhancement either. I expected a clean transfer, and I got one via this defect-free presentation; not a speck, mark or blemish appeared. Racer featured an insanely dynamic palette, and the Blu-ray demonstrated stunning color reproduction. You’ll find every trippy, candy-colored hue under the sun in this sucker, and the tones all looked absolutely great. I can’t think of another movie as colorful as this one, and the Blu-ray brought out the hues in a terrific way. Blacks were deep and dark, and shadows showed nice clarity and smoothness. This became a stunning, virtually flawless presentation. While not as stellar as the picture, the Dolby Digital 5.1 soundtrack of Speed Racer still satisfied. The soundfield proved consistently active and involving. Quieter scenes present a good sense of place and atmosphere, while the action sequences open things up in a dynamic manner. Cars zoomed and jumped around the room, and the scenes placed us in the action. Surround usage was quite full, and the mix created a strong setting for the adventure. Audio quality was always positive. Speech appeared natural and concise, with no edginess or other issues. Music seemed rich and dynamic, and effects followed suit. Those elements were crisp and clear, and they showed good bass response. The audio was good enough for a “B+“. How does the Blu-ray compare to the DVD release? Audio seems identical, as both include the same lossy Dolby Digital 5.1 tracks. Even though I gave the DVD’s mix an “A-“, I bumped this down to a “B+” here because the Blu-ray should’ve given us a lossless track. Visuals offered a different story, though, as the Blu-ray improved on the DVD in every way. As good as the DVD looked, it couldn’t compare with the virtual perfection of this amazing Blu-ray. Speed Racer lacks a ton of extras. Spritle in the Big Leagues goes for 14 minutes, 34 seconds as it presents young actor Paulie Litt as he snoops around various parts of the production. Litt visits the prop shop, the chimp pen, the Racer house set, the green-screen gimbal, and the art, stunt, costume and visual effects departments. While Litt takes his tour, the featurette also throws out “Pop-Up Video” style blurbs about the flick that inform us about other areas. The piece leans too heavily on cutesy elements; Litt mugs for the camera like nobody’s business. Still, the show packs in a surprising amount of material into its short running time, so it gives us a decent glimpse of various parts of the production. Speed Racer: Supercharged! lasts 15 minutes, 43 seconds. It acts as a promotion for the movie’s “World Racing League” and provides details about the flick’s many cars and driving teams. Since it treats them all as real, it’s not exactly a realistic show, but it’s still kind of cool to see the details of these fictional vehicles and characters. Finally, we get Speed Racer: Car-Fu. This piece runs 27 minutes, 38 seconds and gives us comments from Litt, producers Grant Hill and Joel Silver, visual effects supervisors John Gaeta and Dan Glass, Digital Domain VFX supervisor Mohen Leo, conceptual artist Jeff Julian, supervising art director Hugh Bateup, 2nd unit director James McTeigue, senior graphic designer Henning Brehm, virtual vehicles graphic designer Alejandro Lecuna, supervising model maker Frank Schlegel, storyboard artists Steve Skroce and Tani Kunitake, pre-vis artist Dorian Knapp, pre-vis supervisor Kyle Robinson, VFX on-set supervisor Tom Proctor, digital effects supervisor Jake Morrison, environment plate supervisor Dennis Martin, location manager Marco Giacalone, environment art director Lubo Hristov, 3D integration artist Jesse James Chrisholm, digital production manager Patrick Kearney, production designer Owen Paterson, physical vehicles art director Stephan Gessler, and actors Emile Hirsch, Christina Ricci, John Goodman, Matthew Fox, Roger Allam, Scott Porter, and John Benfield. We learn about the project’s path to the screen, action, race scenes and visual effects, car and set design, storyboards and pre-vis, photographic areas, locations, shooting on green screen, and related topics. “Car-Fu” focuses on technical issues most of the time, and that’s fine, as it covers these topics well. We get a good look at the various filmmaking challenges in this fairly informative piece. With its trippy visuals, Speed Racer looks unlike anything else from the summer 2008 crop of potential blockbusters. Unfortunately, it never succeeds as more than eye candy. The movie lacks much real drama or excitement; it throws visual splendor at us but fails to back up the images with anything else. The Blu-ray boasts stunning visuals along with good audio and a smattering of moderately interesting bonus materials. The movie is too silly to succeed.